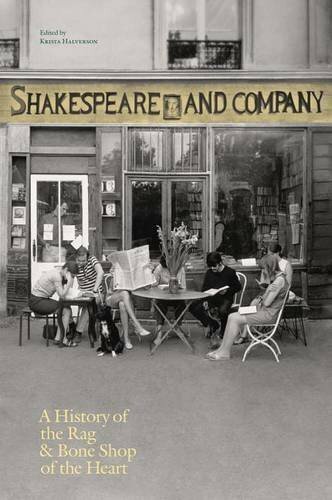 Shakespeare and Company, Paris: A History of the Rag & Bone Shop of the Heart, edited by Krista Halverson, Foreword by Jeannette Winterson, Afterword by Sylvia Whitman, Shakespeare and Company Paris, 2016, 384 pages, $34.95 hardcover. ONE OF MY TEACHERS, Austryn Wainhouse, the translator of De Sade (first under the pseudonym Pieralassandro Casavini in Paris but later as a staple of Grove Press), inspired me on my first trip to Paris to make a pilgrimage to Shakespeare and Company just across from Notre Dame. At the time, I was unaware of the difference between Sylvia Beach’s interwar Shakespeare and Company on rue de l’Odéon, which had published Joyce’s Ulysses and was second home (sometimes even the mailing address) for the lost generation of Hemingway, Fitzgerald, and Dos Passos, and George Whitman’s postwar book store, first named Librairie le Mistral, only to be renamed Shakespeare and Company in 1964, reportedly with Sylvia Beach’s blessing. But if Whitman’s shop was not a hub of the epochal interwar anglophone avant-garde community in Paris, the world of Joyce and Pound, of transition and Ford Maddox Ford’s Transatlantic Review, it became a hub of the English-speaking avant-garde in the middle of the postwar Paris of Existentialism, the nouveau roman of Robbe-Grillet, absurdist theater, the movies of the New Wave of Truffaut, Godard, and others, the twilight of Surrealism, and May ’68. So the book published by Shakespeare and Company Paris edited by Krista Halverson—half narrative and half scrapbook—reminds us of the role Whitman’s store played, particularly in the 1950s and 1960s. The scrapbook component is a little heavy with pages consisting of photographs and short statements that each of the typically young visitors staying a few nights at the store—“Tumbleweeds” as Whitman called them—were required to leave behind, and the book’s narrative is a bit thin. 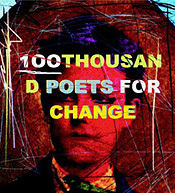 But the documentary photographs (including of Allen Ginsberg and Gregory Corso in the store with Whitman as well as poetry-and-jazz performances) and documents, such as the cover of the first issue of The Paris Magazine, which Whitman started but never really got off the ground, bring us back into the world in which the store played such an important part. We learn from this insatiable reader after he moved to Paris, enrolling at the Sorbonne on the GI Bill, that “I’ve begun running a lending library, the University City Book Counselors, from my room, number 117, in the United States House.” So his bookstore began as a lending library, and he moved this apartment/lending library to the Hôtel de Suez, mentioning that one of the central figures of the postwar American presence in Paris, Richard Wright, lived nearby and he would often see him driving his car. And we learn about the first appearance of someone who would become a life-long friend, Lawrence Ferlinghetti, whose City Lights was modeled on Whitman’s bookstore: “The other day, a tall, well-dressed young man walked in, saying he knew my sister at Columbia. His name is Lawrence Ferling. We got on well from the first, talking about writers and Paris. He comes by all the time now. If I’m not here, he just sits and reads.” So we gather the image of a Lawrence Ferlinghetti not only in his damp, almost windowless apartment writing Her, a book much in the mode of Djuna Barnes’s Nightwood, but also reading endlessly at Whitman’s apartment. After the lengthy journal entries, Halverson’s book tells us of how Whitman found the perfect location to set up a real shop when he met an Algerian grocer trying to sell his store. 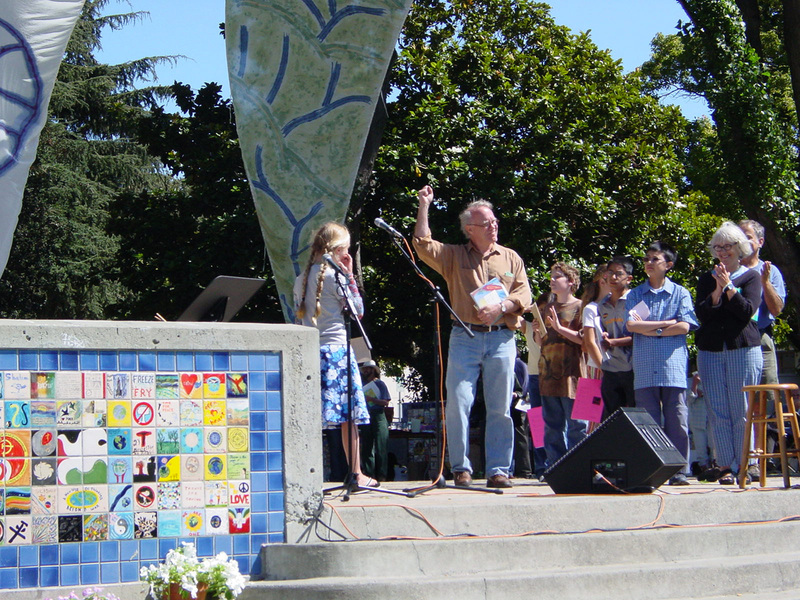 Whitman is quoted as reminiscing, “I almost didn’t take it when I learned that the building was condemned. But then I found out it had been condemned in 1870, so I decided to take a chance on its holding up for a few more decades.” His shop would open on August 14, 1951. Since the bookstore began primarily as a lending library, Halverson wonderfully provides photographs of two early library cards, one of Peter Matthiessen, then the literary editor of the Paris Post, listing Erich Fromm’s Escape from Freedom as one of the books he borrowed, and the other for Terry Southern, significantly showing Truman Capote’s Other Voices, Other Rooms and Kafka’s In the Penal Settlement. Just in the reproductions of those two cards, one begins to get a sense of the early emergence of Whitman’s shop. At the Le Mistral, you’d bump into all sorts of people, writers who were living in Paris or passing through: Terry Southern or Peter Matthiessen or Donald Windham. There was our Paris Review group, and there were the editors of Merlin magazine, which was an important, radical literary journal edited by Alex Trocchi. The Paris Review published some work by Beckett—Merlin published more; they published Molloy first. Both journals published Genet. Shakespeare and Company would continue in this vein and expand in size, but would remain essentially the same. As the book notes, the store was frequented not only by Ginsberg—who wrote a poem in the guest register with a line “Notre Dame’s lit up white as Whitman’s beard”—Ferlinghetti, and the like on their visits to Paris, but also by Pablo Neruda, Doris Lessing, and Howard Zinn. In November 1974, Anaïs Nin, a friend of Whitman’s since the 1950s, had a book signing in the store for the fifth volume of her journals, with a line that reportedly stretched out the door to Place St. Michel. In the 1970s it served as the location for two feature-length films, one co-written by Borges and the other resulting in a César award for its leading actress, Romy Schneider. The goateed man who cooked soup for his visitors and ran his own counter-culture hostel and his bookshop were both iconic elements of the anglophone avant-garde in postwar Paris. And this book, less for its text than for its innumerable documents and photographs, gives a real sense of Whitman’s world. But Halverson, trying to bring the story up to the present, beyond Whitman’s death and his daughter’s taking over the store, seems to peter out after bringing to light the store’s epochal phase at the height of cultural experimentalism by American, English, and Irish writers and artists, mixing with their French counterparts, in Paris in the 1950s and 1960s. 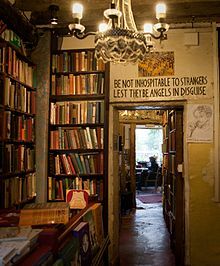 It is this energetic and innovative period that is behind the spirit of this second incarnation of Shakespeare and Company. The store is currently run by Whitman’s daughter, Sylvia—so that there is again a Shakespeare and Company in Paris run by a Sylvia—and the store has continued to host numerous workshops and lectures, and readings by the likes of Zadie Smith and Don DeLillo. Ultimately, however, George Whitman’s appellation, “Kilometer Zero Paris,” describes a bright and unforgettable moment in the past. Carl Landauer is a lawyer, who taught history at Yale, Stanford, and McGill Universities. He has recently written for Beat Scene: "Before the Beat Hotel: The Merlin Magazine Crowd in Fifties Paris," "Gesamtkunstwerk in a Vitrine: Robert Duncan, Jess, and Friends," and “‘A Poem Can Snap the Lights On’: Revisiting David Meltzer’s San Francisco Poets,” and for Confrontation: "Open Eye, Open Palette: The Art of Lawrence Ferlinghetti," with Susan Landauer.